During the week after Christmas Toronto’s temperature plummeted to a 57-year record low. Brrrrr! Bundled up tightly against such crazy wintery weather, the day was slightly brightened by coming across this group of colorful sculptures of fishing bobbins. Situated in Canoe Landing Park in the CityPlace neighborhood, these cheerful works were created by noted Vancouver artist Douglas Coupland. Elsewhere in the park there is an oversized sculpture of a red canoe (also by Coupland), in which park-goers can sit and look out across Gardiner Expressway toward nearby Lake Ontario. Clever and fun subject for sculptures and another great example of the vibrant public art that can be found throughout metro Toronto. Weathered Tombstone, Old Loyalist Burial Grounds, Saint John, N.B. Cemeteries are places of transcendent reverence, contemplation and connectedness. I’m particularly moved by final resting grounds that are situated in locations that cause them to be part of a people’s day-to-day lives. 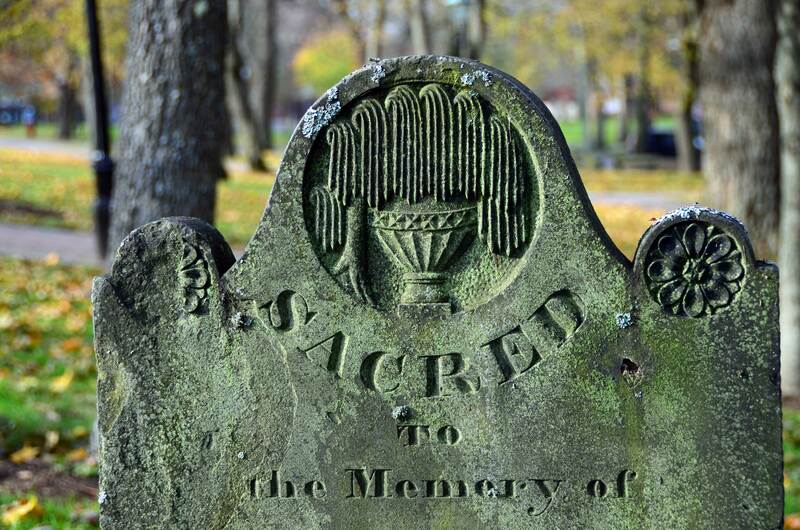 One of the best and most visually gorgeous of these is the very old Loyalist Burial Grounds in Saint John, New Brunswick, which, like Halifax’s Old Burying Ground, is in the heart of the city’s downtown core. These pictures from a recent trip on a brisk November morning makes clear that the majestic tombstones dating to as early as 1783 are very much a part of the urban environment built up around them. With its winding walkways, inviting benches and vast shade trees, the Loyalist Burial Grounds is as much a frequented park space as it is a place for memory and serves as a peaceful oasis amidst the surrounding hustle and bustle.